For your convenience. 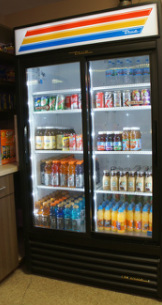 . .
Snacks and drinks available for your hungry dancer! The Mango Room has a sprung subfloor and a marley-type surface. This gives all our dancers cushion for their feet and joints and a smooth surface that is easy on dance shoes. The studio is equipped with a touch-screen computer sound system that allows our instructors to play their music from any studio in the building.